Your trusted orthodontists in Boca Raton! Welcome to Nicolas Orthodontics, where we’ve served Boca Raton, Delray Beach, Parkland, and the surrounding communities with the highest standard of orthodontic care available for more than 20 years. Through our personalized care, commitment to excellence, and meticulous attention to detail, Dr. George Nicolas, and our team work together to provide a positive experience for children and adults alike. Our patients not only achieve straighter teeth and a healthier smile, but also heightened self-confidence and improved dental health for many years to come. Our practice is known for offering excellent quality of care to patients of all ages, providing orthodontics solutions tailored to suit each individual’s lifestyle and personal preferences. We are committed to staying on the cutting-edge of the latest treatments and technologies available. 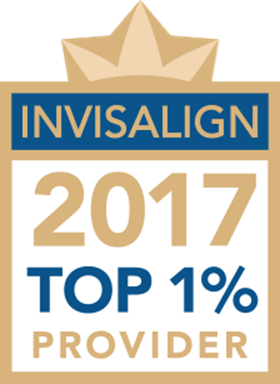 We are Elite Preferred Invisalign Providers in Boca Raton, which means that we have an exceptional amount of experience and expertise, and are one of the top 1% of Invisalign providers in North America! In addition to offering the most revolutionary braces, we have created a unique environment for our patients to feel comfortable while in our care. Our state-of-the-art facility is equipped with the most advanced technology available including the 3D Cone Beam CT technology, which assists us in accurate diagnosis and treatment planning for our patients. We want patients to understand exactly what is happening with their treatment and have all of their questions answered. We believe our highly skilled team and innovative treatment and technologies will give you the confidence that you are receiving the highest standard of orthodontic care available. At Nicolas Orthodontics, your smile is our top priority! We are open mornings, afternoons, evenings, and even Saturday to fit our patients’ busy lifestyles. Schedule an appointment at our Boca Raton orthodontic office today! A complimentary consultation with our doctor can determine if Invisalign clear aligners are right for you. 3D imaging allows us to provide quick, comfortable, and effective imaging for precise orthodontic diagnosis, treatment planning, and the evaluation of certain conditions. iTero scanner digitally captures the structure of the teeth and gums using the latest optical technology. The American Association of Orthodontists recommends that children see an orthodontist as early as age seven.